The wait time was beyond anything I've ever experienced in my years coming to Dr. Mehta. The worst part was myhusband was with me and nothing was communicated until I was about to go under anesthesia and I finally asked what took so long. My appt was at 10:30 and I didn't get onto the table until 1:00. My husband is asking me to find another doctor. One that does these procedures in an outpatient surgical center. He was very uncomfortable with the recovery room and the fact that I had to get dressed with no privacy (I was just coming out from anesthesia so I didn't care). The wait time was beyond anything I've ever experienced in my years coming to Dr. Mehta. The worst part was my husband was with me and nothing was communicated until Iwas about to go under anesthesia and I finally asked what took so long. My appt was at 10:30 and I didn't get onto the table until 1:00. My husband is asking me to find another doctor. One that does these procedures in an outpatient surgical center. He was very uncomfortable with the recovery room and the fact that I had to get dressed with no privacy (I was just coming out from anesthesia so I didn't care). Horrible I’ve been going here for 3 years and I only go back because I hate starting over with a newdoctor, but it’s time for me to part way. My concerns were brushed off my new pain wasn’t taken seriously and that is unacceptable. Horrible I’ve been going here for 3 years and I only go back because I hate starting over with a new doctor, but it’s time for me to part way. Myconcerns were brushed off my new pain wasn’t taken seriously and that is unacceptable. Hi, thanks for visiting my page! Looking forward to helping with your pain and rehabilitation! **Please note - Dr. Mehta specializes in Sports and Spine medicine. He does not prescribe opiate pain pills. Dr. Mehta utilizes the most cutting edge treatments such as platelet rich plasma, spinal cord stimulation, radiofrequency nerve ablation, vertebral augmentation and combines it with a holistic approach. Dr. Mehta has patients who are pro-golfers and even veterans from WWII. He is proud to become part of the Houston medical community and is happy to treat and help restore function using a full spectrum of medical treatments available. TX Spine & Joint wants to provide patients with the best innovative healthcare services and customer care. We pride ourselves on integrating new techniques and innovations that prove to provide the relief our patients expect. We look forward to helping you and your family find the relief they deserve. Contact us today to schedule your new appointment with TX Spine & Joint, our staff is eagerly awaiting the opportunity to take care of you. Very good and informative meeting. The doctor has many methods and options for treatment, he didn't just start writing a bunch prescriptions. Dr. Mehta is very compassionate and knowledgeable. He is a great listener. He really wants to help his patients. He goes above and beyond. He creates an action plan. I would recommend my best friend or sister to him. Wonderful bedside manner. Very knowledgeable. Willing to answer lots of questions. Is not focused on just one modality of healing. Really cares about finding what’s wrong and fixing it!! I was nervous, but it was just my anxiety. The doctor was great, professional and reassuring. He performed a fine treatment. Professional staff and office. Clean. Dr Metha really knows his stuff. Dr. Mehta and his team at TX Spine & Joint have taken very good care of me. I have noticed promising results and improvement in my current conditions since being in his care. 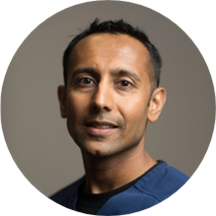 Dr. Mehta is focused on ensuring I getoptimal results and treatments and I couldn't be more grateful. The guy is brilliant. I cannot express how grateful I am. Dr. Metha is the best doctor ever! I am so happy I finally found a doctor that understands my condition and knows which treatments are the most effective. I am feeling 100% better since being under his care. Amazing office staff. Everyone really provides you with the best service. I came in with major pain. The staff was amazing. Dr. Mehta knows just what to do. He is amazing. Best doctor ever. He cates about his patients. Would recommend Dr Metha highly. Accuracy of diagnosis and his approach to treatment. He took the time to explain in detail what he intend to do and let me know that I would be comforted before, during and following procedure. I am confident. It was good, considering I had to have injections in my back...it went rather quickly and I'm feeling little pain, thanks. Dr. Mehta always takes the TIME, his precious time, to listen to my every concern and has not faltered caring for my pain first and above all. He understands that I too must take critical action to remedy my ailment insteadof just remaining complacent. He has maneuvered me to becoming pain free successful and is patient himself with me as I do so. What a kind and caring doctor who spent time explaining what was happening. He made suggestions for treatment then gave me the opportunity to provide input. For the first tome in a long time I feel like I am actually part of the process! He is a great pain management doctor. Great staff. Very good info. That doc is a rockstar. Absolutely brilliant. No hard sell, just concise and clear with options, expectations. Excellent Doctor. He took the time to explain my procedure and answer all my questions. the DR. is very knowledgeable and help me right away with my back problem. Dr. Ankur was very personable. He had a med student with him but asked permission to have him shadow the appointment. Everyone was very nice and professional. I felt very confident in the plan to fix my issue. It's my third time visiting Dr Mehta, and as previous experiences it was very kind and always offering different solutions to the problem I have. I really like the approach that he has to the physical problems and the fact thathe really try to find out the real source of the problem, no just attack the symptoms with some pills. He goes deeper in the analysis, and then finds a real solution that will eliminate the problem from the cause. I love my doctor. He is very patient friendly and answers all your music. He has helped me with my pain tremendously. The appointments are quick and painless. As a perk, he piles in wonderful music. Energetic, thorough, and easy to talk to. Excellent and prompt clarification of my questions. Very informative and educating communication. Able to explain me in understandable language with honest outcomes and expectations. Very conservative approach. Have my body heal with conservative method using advanced medical knowledge. Amazing staff and Dr Metha takes very good care of me. I feel he explains the procedures well and makes sure I throughly understand. Highly recommended. Prompt polite helpful staff. Dr. Ankur Mehta’s thus far has been remarkable. I started only a few month ago. I now have reduced my pain level from 10 all the time to only a 1 ! I love going there , it’s makes me feel good about myself. Everyone is nice and friendly , they treat you with respect , are very informative and polite. And I love the Doctor, he makes you forget your pain. Just an overall great experience . Very professional and through . Relaxed me to having a good outlook . He has incredible bedside manner, And is very knowledgable on cutting edge and effective treatments. He really takes time to listen to you and talk to you and is very cautious about over using toxic or damaging procedures that, over timecan and will do more damage than good! I have been to at least 8 doctors before seeing him and he is the ONLY Dr. That diagnosed me correctly. Great guy and EXCELLENT Dr.!!!! Dr. Mehta was awesome and helped with another medical issue that had come up unrelated to the scheduled treatment. He and his staff are caring and efficient and I always feel better when I leave than when I arrive! Awesome. Incredible staff and incredible Dr. Thank you so much for helping me out! Dr. Mehta and his staff always take very good care of me on my appointments. He has a solution to treat all of my needs for whatever is hurting and causing me pain. I have been completely satisfied with the results. Wait time sux....not sure why yet. Dr Mehta is a rising star I believe...hoping he does not have burn out before he gets there. We are very well satisfied with the doctor. We think he is well qualified, and is so relaxed that the patients fell comfortable around him, and that is very important. Dr. Mehta is an amazing Dr. He is the best Dr. I have found for my pain management and believe me I've seen a lot of Dr.'s for my problem. Dr. Mehta was wonderful, he explained everything he was doing along with the results. His bedside manner was great, he was direct and really inspired confidence. I've been a patient of Dr. Mehta's for about 5 years. During that time, he has studied my symptoms and has recommended the proper treatments to help me. As I get older and have more aches and pains, Dr. Mehta will be there to help me lead a quality life. Very personable, knowledgeable and easy to talk to.